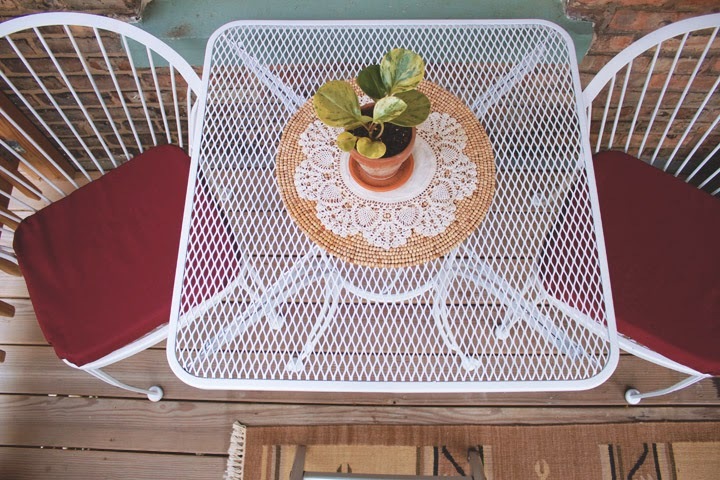 This past weekend, I put the finishing touches on my back porch and I'm really excited to finally share the AFTER photos with everyone (check out the BEFORE photos here). I am extremely happy with the way it turned out! 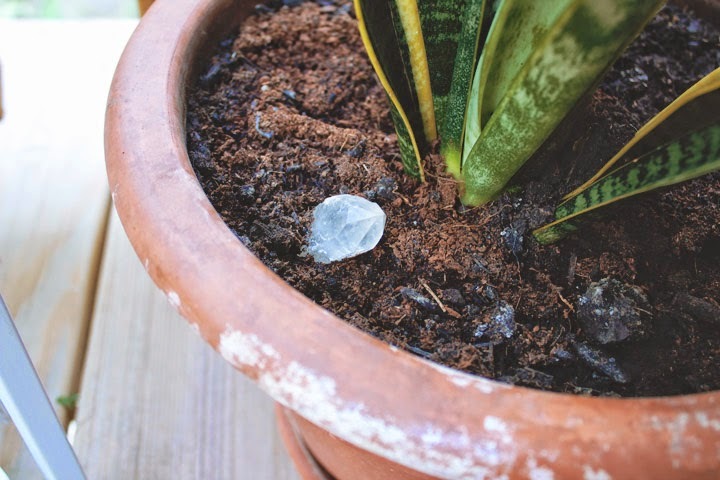 Adding in simple decorative elements, bringing houseplants outside, and working on a few simple DIY's can make a huge difference to any outdoor space. When I decided to redecorate, the first thing I thought about was furniture. Do I want to buy new pieces or keep what I have? My current black chairs and table were in good shape, so I decided to simply freshen them up with coat of white spray paint. Not only did I save money, but also it gave new life to the furniture, making them look new and different in the space. Then I went to our local craft store, picked up outdoor fabric I liked, and made my own cushions and envelope slip covers for the chairs. 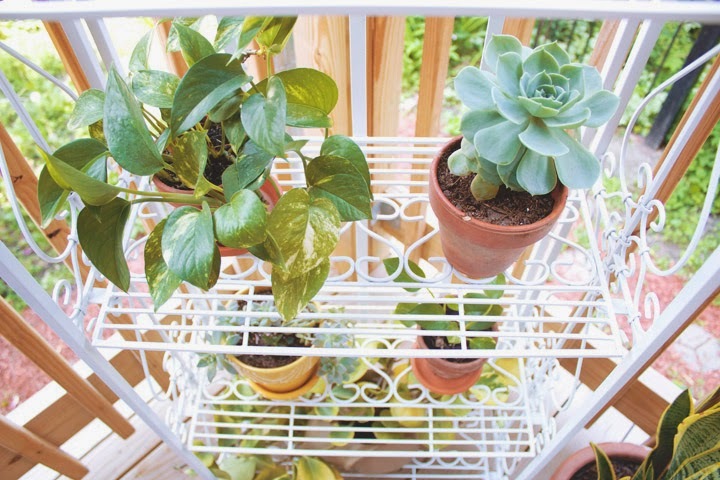 Next I grabbed a plant stand, spray-painted it white to match the table and chairs, and loaded it up with some of my houseplants and knick-knacks. 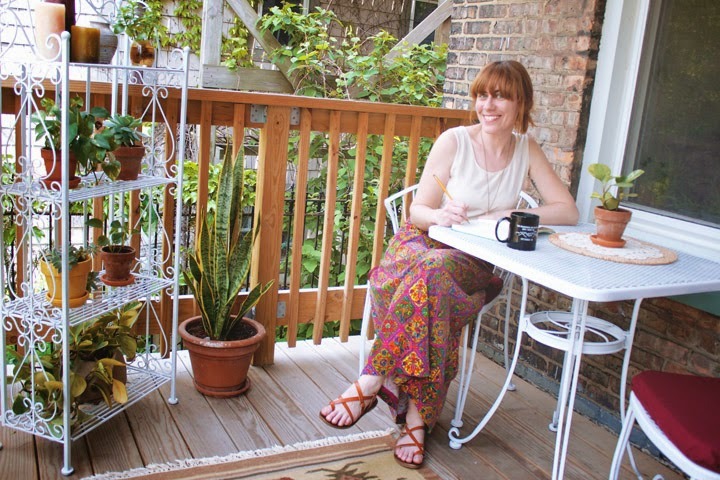 Since my porch gets a lot of afternoon sun, every spring I bring out as many of my indoor plants as I can and keep them out till it gets cold again. This year, instead of putting up my usual planter boxes along the railing (which usually takes up more a lot of room on the porch once they all grow in), I decided to go with hanging plants. I picked up a tradescantia and two ferns at the local nursery and hung them on the outer rim of our porch. 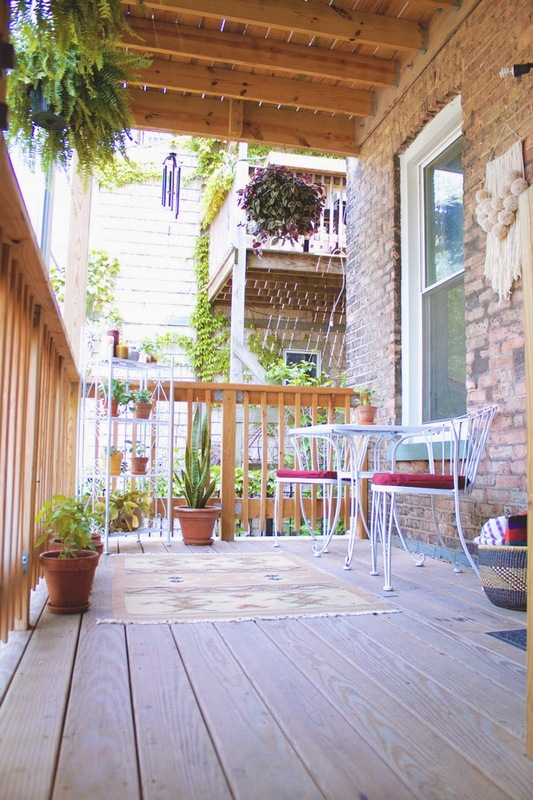 This added more greenery, but didn't take away any porch space. 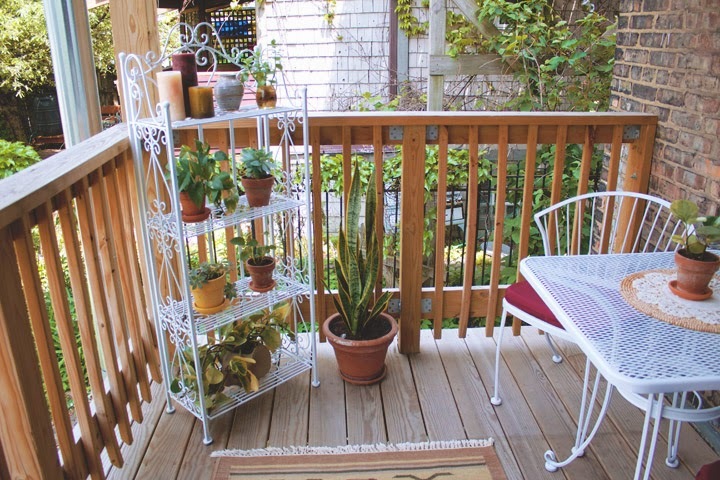 Putting in a few decorative elements to an outdoor space really makes it feel more inviting and comfortable. 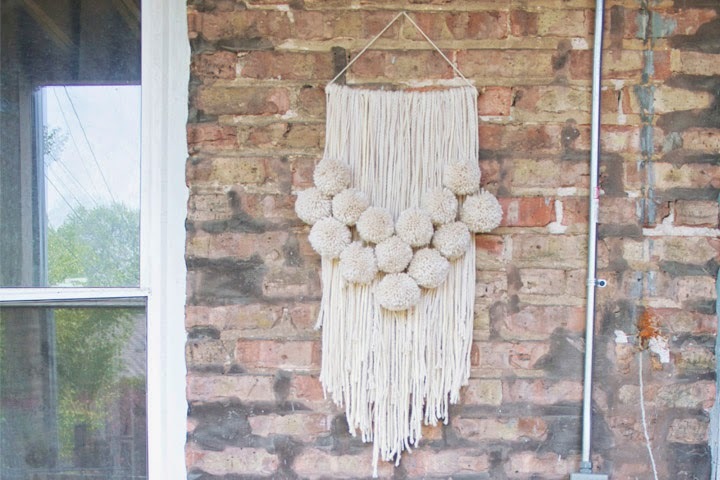 I put up our yarn wall hanging to add a bit of art to the plain brick wall. 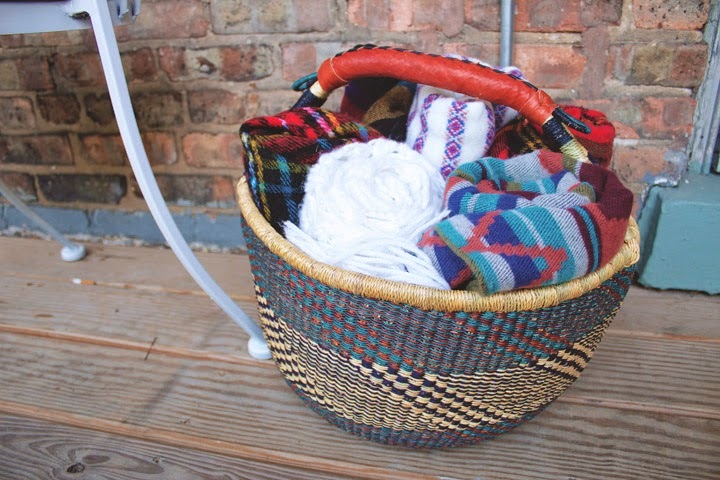 Recently I purchased a woven basket from Alapash, which holds all my blankets for those chilly nights outside. 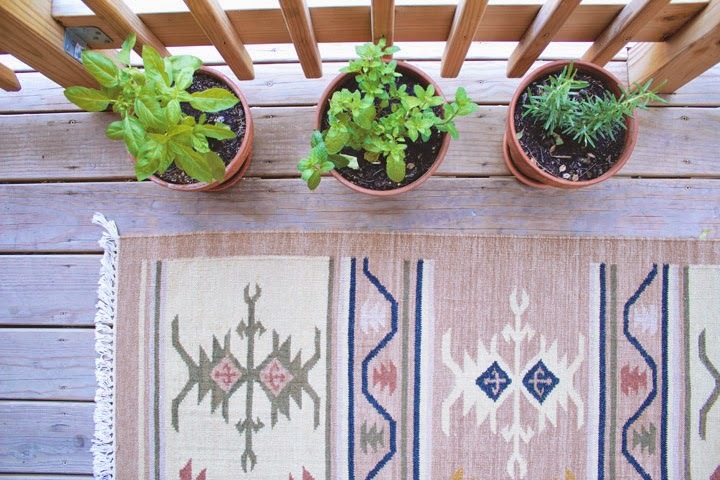 To save room in my garden, I pot herbs on my porch. This year I'm growing basil, mint, and rosemary. Later this summer, we'll be sharing some of our favorite recipes with these herbs. 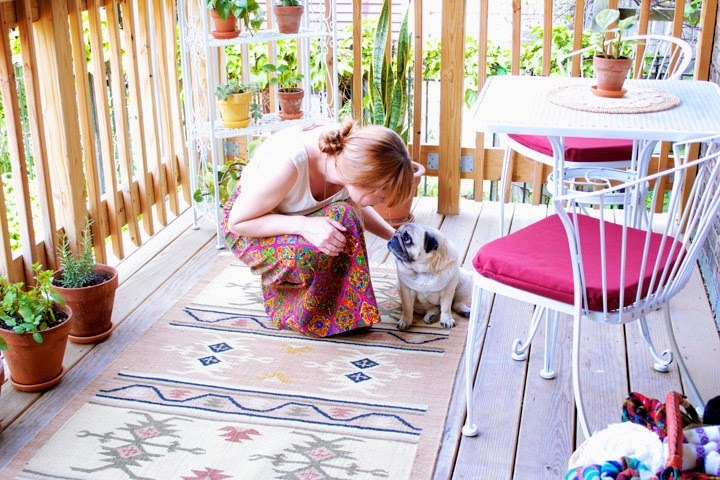 Hope you enjoyed poking around my back porch makeover and collection a few tips on how to improve yours. I'm looking forward to spending even more time outside in this space. 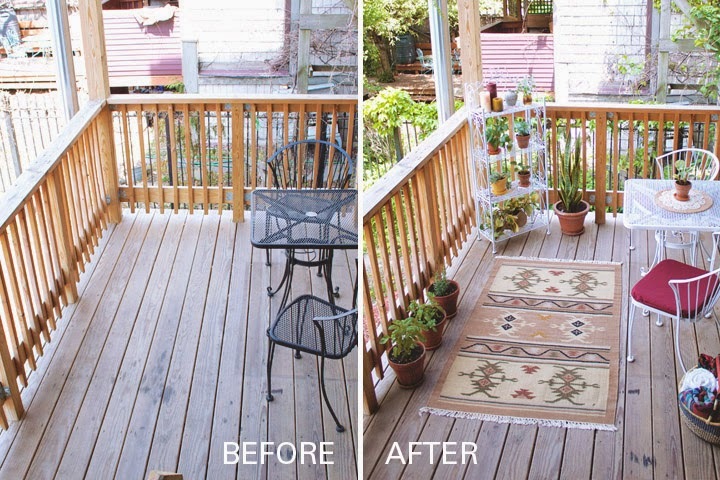 Do you have any outdoor spaces you'll be redecorating this summer? Looks great!! I love the hanging plants and that you made your own cushions. Thanks Helen! The hanging plants made all the difference. Katie, we'd love to see how your back deck turns out. Please do share with us! This is just perfect! Thanks for the inspiration! !